There I am, back in Grade 6 (the year was 1976, by the way), and I had found a book in our town Library on how to build a simple electric motor. I was 11 years old at the time. The motor was constructed from a wooden spool, 4 screws, and a simple electromagnet fashioned from a large nail and some wire. Very similar to the one pictured here from a YouTube video. I spent hours and hours trying to keep the gadget running. This silly thing was my first Science Fair project and it won me 1st prize at the time. I know what you are thinking. 6th grade Science Fair Prize. So what? Ah, but that is when it all started. My fascination with how stuff works. 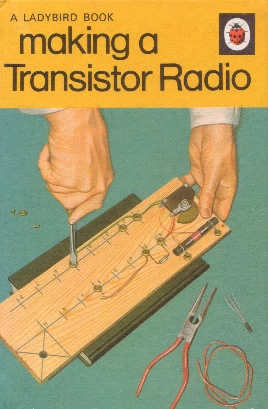 Consequently, I went back later that year and found another book on building a transistor radio. I was now 12 years old. It took me months to find all the parts. We couldn’t just order online in those days. With a bit of help from my father (an Electrician by trade), I was able to build it and get it working. That would be my 7th Grade Science Fair win and my first trip to the Regional Fair in London, Ontario. I went on to tinker with more ideas from other books. A one meter-round solar hot dog cooker gave me sunburns more often than it did heating my hot dogs; I spent nights looking at the stars through my dad’s binoculars, and my days making gun power with my chemistry set (you could do that back in the day). I’d spends hours listening to cosmic radio waves on our old short wave (tube) radio set and imagined that we were being contacted by aliens (nice ones, of course). All in all, I was lucky. Not just to have parents who allowed me to explore and tinker, generally making a mess of the garage. I had also discovered the traits that I needed to succeed later in life by accident. Ask yourself this. Do you have insatiable curiosity, perseverance, dedication linked to your dreams, imagination and the desire to embrace the unknown? To be clear, not everyone understands this about themselves. However, I firmly believe that everyone has those traits inside them, just waiting for the right moment to surface. These traits put men on the moon, found cures to some of the deadliest of diseases known to mankind, and allowed us to now communicate almost instantly with anyone we desire from any corner of the world and beyond.